Cal Poly is one of six California State Universities (CSUs) to earn funding from the National Science Foundation (NSF) to support educational opportunities for science and mathematics majors pursuing a K-12 teaching credential. Combined, the six CSUs will receive $7.1 million in funding from NSF’s Robert Noyce Teacher Scholarship Program, which supports the development of science, technology, engineering and math (STEM) teachers. OURFELLOWS CONTRIBUTE TO CUTTING EDGE RESEARCH... THEREBY, GIVING STUDENTS OWNERSHIP OVER THEIR LEARNING. The 2017-18 awards fund campus projects that will lead to a more robust and diverse talent pipeline of K-12 science and math teachers — with a focus on recruiting candidates from underrepresented communities. The projects will also help address the state’s shortage of credentialed STEM teachers. California continues to face a critical shortage of qualified math and science teachers with a projected need of upwards of 33,000 additional teachers in the next 10 years. 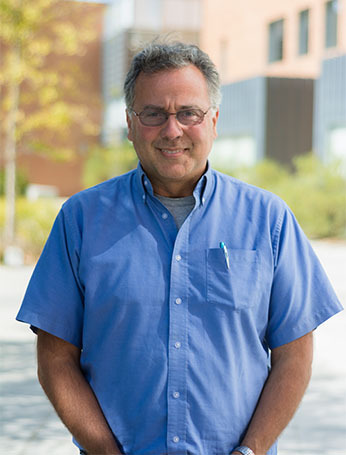 “Our fellows contribute to cutting edge research, as they also learn in concurrent workshop settings how to infuse authentic research and project-based practices in the precollege classroom, thereby giving students ownership over their learning,” said Stamatis Vokos, physics professor and STEM Teacher and Researcher (STAR) Program director for the CSU. Through this NSF support, STAR will choose 32 prospective STEM teachers from across the CSU each year to be Noyce Scholars. These scholars will join immersive, mentored summer research experiences at national laboratories, universities, and research and development centers in summer 2018 and 2019. Most of the awards will fund scholarships and stipends for undergraduate and teacher credential students. Each recipient can receive up to three years of scholarships with stipends of up to $10,000 per year during upper-division and credential study. Since the Noyce program was created in 2002, the CSU has received more than 50 awards at 22 campuses — totaling more than $45 million.